The Civil War and a President who is desperate to save his country. While the story is our history (even though the history may not be 100% accurate…) the immediacy of the fight in this story is almost oppressive. The weight of the decisions these characters are making are quite literally changing the world before your eyes. And, while its presented in a way anyone can follow it never feels dumbed down. 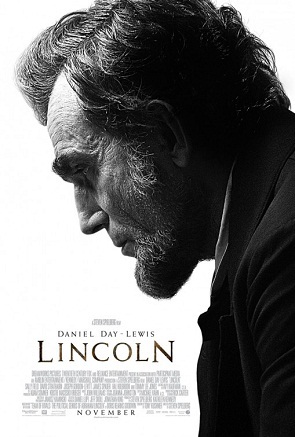 But, as the story holds no surprises to a modern audience, the film hangs on the performances Daniel Day-Lewis and Sally Field are, frankly, incredible and the President and First Lady Mary Todd-Lincoln. Day-Lewis particularly plays Lincoln as a man, not the icon he’s become. When modern audiences are most familiar with Lincoln as the audio-animatronic figure in Disney’s Hall of Presidents, Day-Lewis’ performance could have easily diverged into caricature and never once did. Field as well played a woman who was at once strong and broken. And as a couple their relationship is not only real but they play the pressure they’re under, the strain is clear and when the pressure builds to boiling over the scene is electrifying. Every performance is top-shelf- owning to the prestige factor of the film and director Steven Spielberg- from the smallest soldier or aide to the bigger roles. Pay particular attention to James Spader as lobbyist William N. Bilbo, the “comic relief” of the piece, and Lee Pace as vehemently anti-amendment Representative Fernando Wood. Both actors are standouts among a cast of standouts. Nice review Eric. It can be a bit of a snooze-fest at times, but it still kept me intrigued and interested in where it was going with itself. Problem is, we all know how it ends.